It’s Autism Awareness Day and I’m really excited to share that I’m going to be doing a whole month of blog posts and recipes dedicated to autism and food and the issues surrounding this. For this series I’ve teamed up with the gorgeous Tara Leniston. Tara is a former actress who stepped out of the limelight to devote all her time to learning everything she could about autism when her son Dylan was diagnosed seven years ago. You can follow Tara over on her blog Coming Home To Autism and also on Instagram. 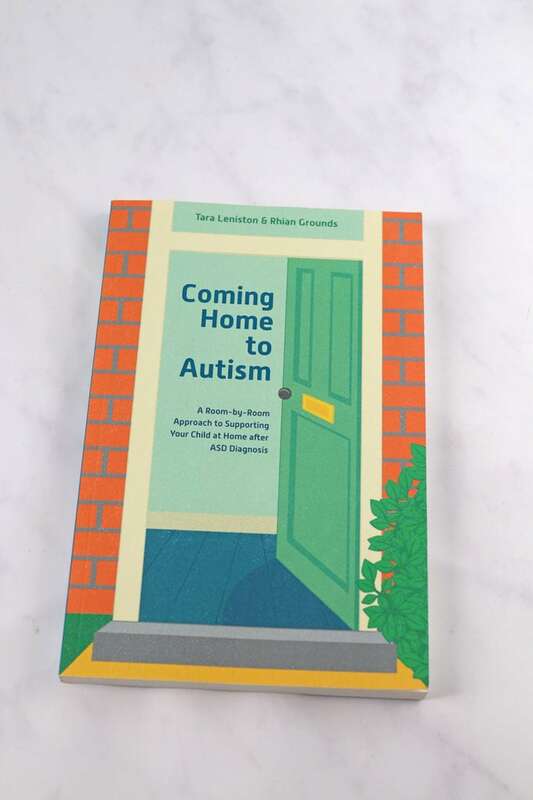 She has also co-written a fantastic book, also called Coming Home To Autism, where she shares practical help and tips for parents of newly diagnosed children. This is my little boy Finn. 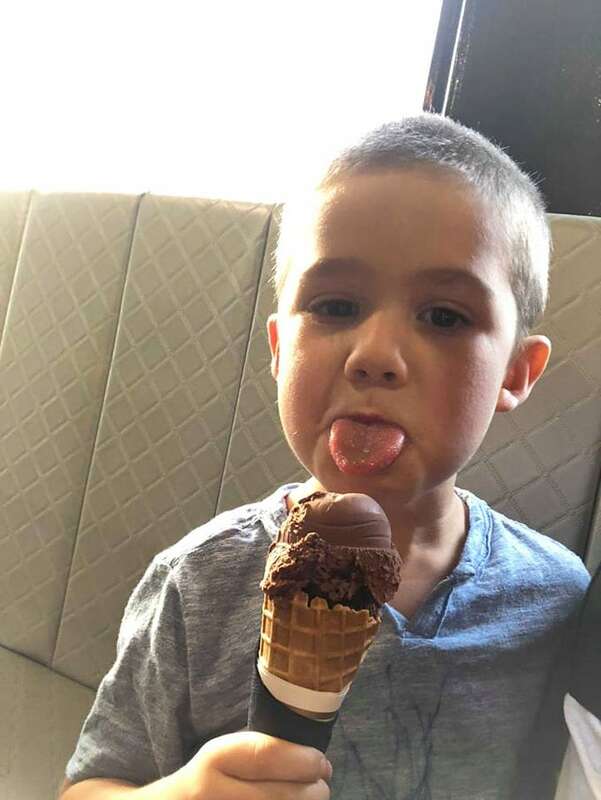 Finn is 5 years old and he loves trains, jumping on the trampoline and ice cream (as you can see!). 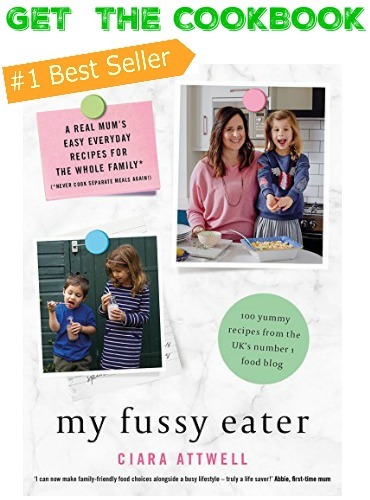 Finn was diagnosed with autism in June 2017 and since then I’ve been trying to learning more about the link between autism, fussy eating and food anxiety. Every child with autism has different experiences and issues surrounding food, some mild and some much more severe. For a long time I’ve shied away from talking too much about this topic, unsure if my experience with just my child was enough to be able to give any meaningful advice. But if I can help just one family then it will be worth it. 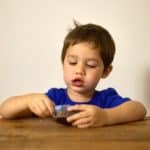 Why Do Autistic Children Like Processed or Packaged Foods? One issue that I know a lot of parents of autistic children are dealing with is a reliance on processed or packed foods. I often get asked what parents can do to wean their autistic children off these kinds of foods. Most children, not just those with autism, thrive on routine and predictability. But for autistic children having familiarity in every aspect of their lives helps them to maintain control in a world that is otherwise unpredictable and chaotic. Packaged and processed foods help retain this sense of routine and familiarity. 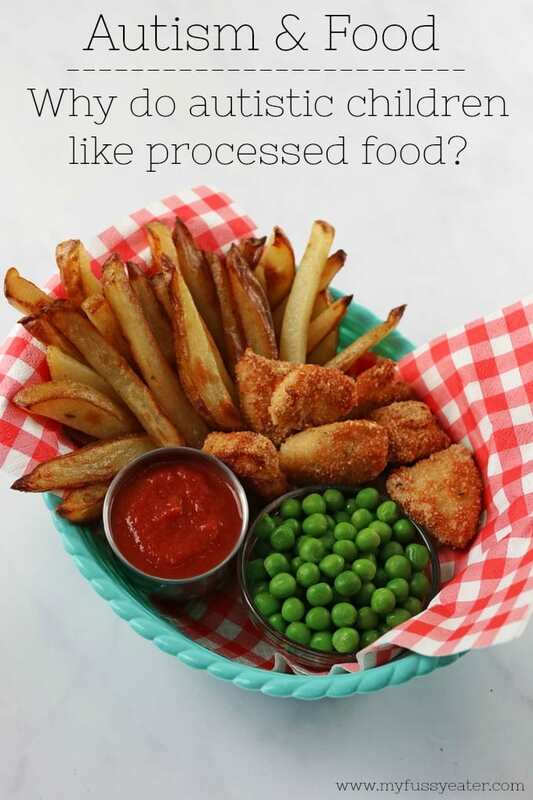 Frozen processed chicken nuggets for example are always the same – the packaging is the same, the taste and smell is the same. Even the size of the nuggets will remain the same. Weaning children off these foods can be difficult but it’s not impossible. 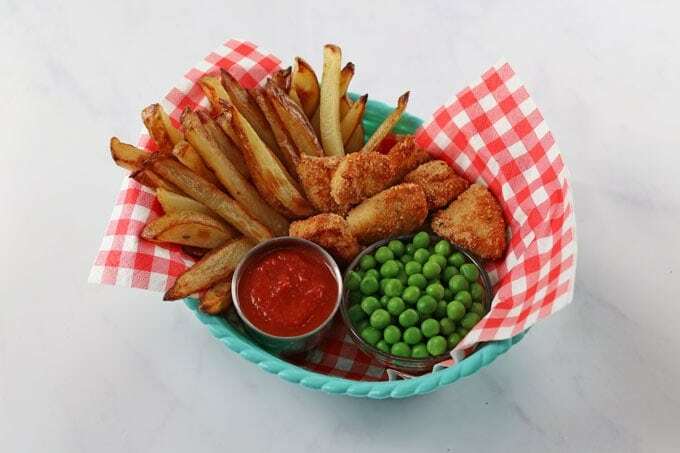 I have shared my recipe for healthier homemade Chicken Nuggets & Chips below and also some tips that you might find helpful. First up I would recommend removing the branded packaging from their favourite foods. What we are trying to do with this is remove their association of that type of food with that brand and the colour or look of the packaging. If an autistic child always sees their favourite chicken nuggets in a particular box then they are never going to accept any others. The key to making the switch from packaged to homemade foods is to make them as close as possible in look, feel and taste. I know this isn’t always easy but simple things like making sure the nuggets and are very similar size and shape will help. If your child loves skinny fries then making a batch of homemade chunky chips is probably not going to go down well. So practice getting your own version as close as possible to the brand that they love. The benefit of making food from scratch is that you can make it much more nutritious with just a few simple swaps. 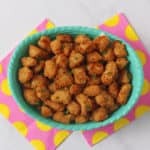 For my chicken nugget recipe I use ground almonds for the coating which add protein, fibre, healthy monounsaturated fats, Vitamin E and antioxidants. I also keep the skins on the potatoes when making chips for an added boost of fibre, Vitamin C and B Vitamins. A sudden swapping of processed food for homemade alternatives is going to cause a massive amount of stress and anxiety to an autistic child so it’s really important to make these changes slowly. Start by swapping just a few of their chips or one nugget for the homemade version. I know this will be double the work to start with but it really will make the process much easier. Over time you can slowly transition from mostly processed to mostly homemade versions. I would also suggest just starting with one food at a time – so in this case either the nuggets or the chips. I would also suggest only doing this once a day as you don’t want to overwhelm your child with too many changes several times a day. Timing is so important when you are trying to get any child, not just an autistic child, to eat new foods. Dinnertime at 5 or 6pm is not the best time to start changing their routine. By this time children are tired and should be winding down for the day. Dinner at this time can become a massive battle as emotions and anxiety can run high. 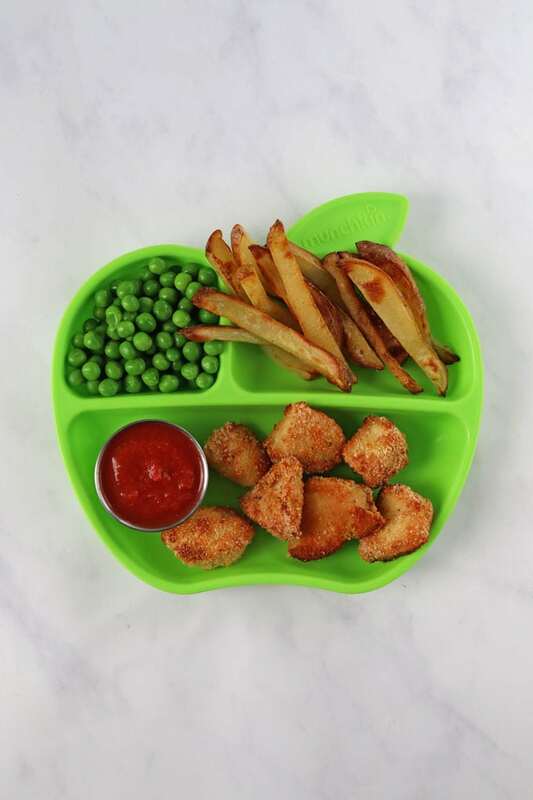 If you child is pre-school age then try these new foods in the morning or at lunch. For older children who are at school maybe stick to the weekends initially. 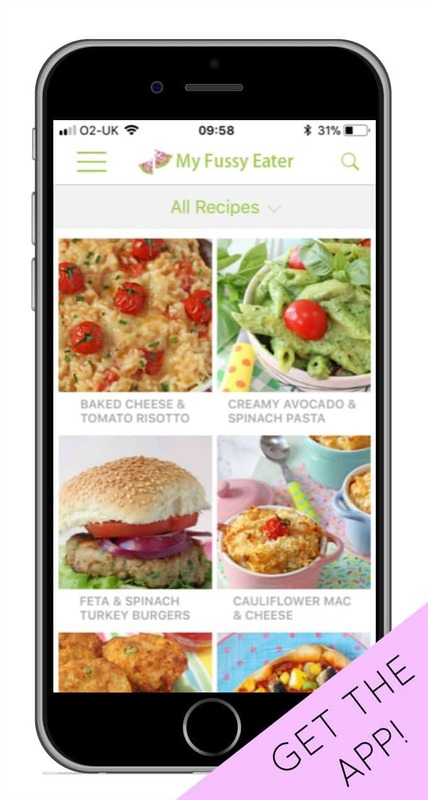 You can also make some simple swaps that will help to cut out some other processed foods such a ketchup. 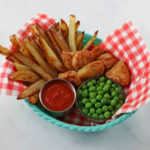 There’s nothing wrong with ketchup every now and then but if you have a child that insists on eating it with everything then you might want to try a healthier version. 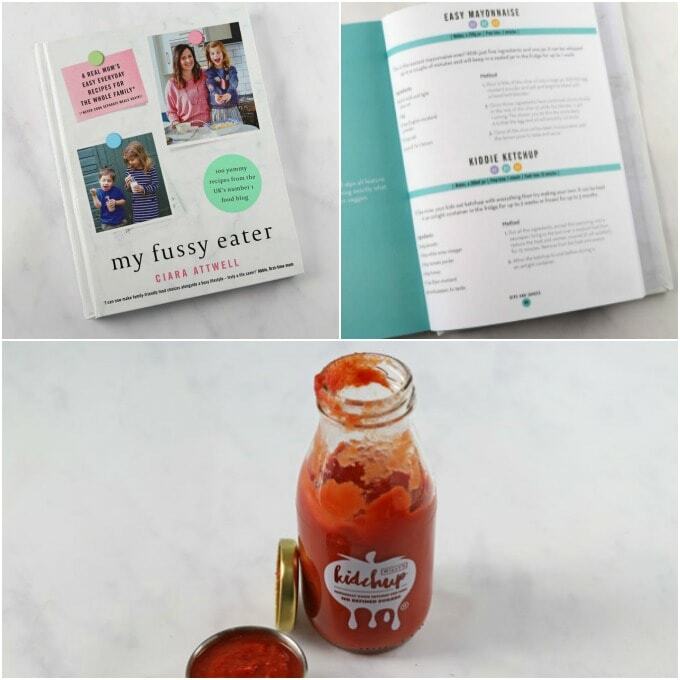 I have a recipe for homemade ketchup in my book and I also love this Kidchup made with no refined sugars. 1. When trying a new food, only put one piece of the food you want them to try on a plate. If you over whelm you child with a whole bowl of food, they are more likely to push it away and not try it. 2. Don’t look at them, just simply put the piece of food in front of them casually and walk away for a few min. Let them take it in, touch it, play with it. Eventually they may even put it in their mouths. 3. Don’t expect your child to try this new food the first time. Keep offering it the same way at the same time for a few consecutive days. 4. Don’t offer your child new foods when they are hungry. If you can time it for a few hours after breakfast or after lunch when they are not tired and not over stimulated but a little peckish this is the best time to get the best results. 5. Try the Touch, Kiss , Lick, Taste. Have a sticker chart or simply write down the 4 steps and tick them off once your child has completed them. Once they have tasted it / swallowed it they get a small treat. I have found this really works well with Dylan. 6. Don’t get discouraged. All Dylan would eat for the first 4 years of his like was milk and plain pasta. 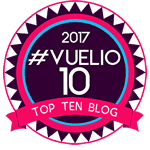 It grew slowly and now there are 10 things that he will eat. Its not great but its an improvement. This list grows every year. 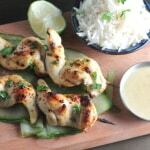 I hope our tips have been helpful and that you enjoy this recipe. If you try it yourself please do pop on over to Instagram and share your pictures and comments with myself and Tara. You can also watch this video we filmed together talking all about autism and food. Preheat the oven to 200c / 400f. Grease two baking trays or dishes, each with 1/2 tbsp of oil. Wash the potatoes well. You can peel them if you want but I leave the skins on. Cut the potatoes into thin chips and then add to a large bowl of cold water. Leave to the side while you make the chicken nuggets. Cut the chicken breasts into bite sized pieces. Add the ground almonds to another bowl, along with the garlic powder. Season with a little salt and pepper and mix well. Take one piece of chicken, dip it in the egg and then coat in the almond mixture. Transfer into one of the greased dishes. Repeat with the rest of the chicken. Drain the potatoes and pat dry with a tea towel. Add them to the other dish and toss well in the oil. Bake both in the oven for 15-20 minutes until the chips are browned and the chicken nuggets are cooked through. 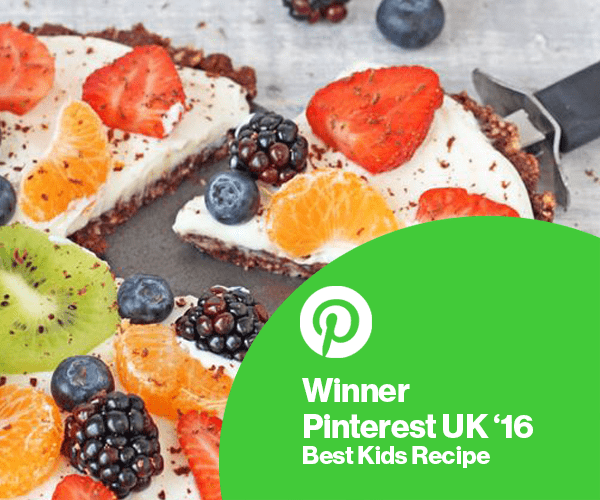 This recipe will serve 2 adults or 3 children. 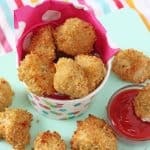 The chicken nuggets can be batch made and frozen. Make as usual but instead of cooking add them to a tray or plate in a single layer and freeze. Once hard transfer to a freezer container or bag and store for up to 2 months. Cook from frozen, adding approx 10 minutes extra to the cooking time. Very nice recipe. We have to try.